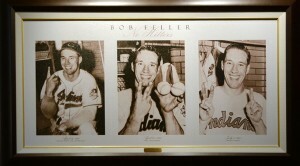 Hall of Famers Walter Johnson and Bob Feller threw no-hitters on this date. 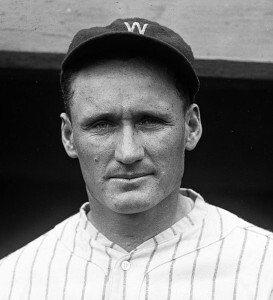 On Thursday, July 1, 1920, Johnson no-hit the Boston Red Sox at Fenway Park for a 1-0 Washington Senators victory. Senators second baseman Bucky Harris could be considered both the hero and the goat in the game. He plated the only run with a seventh-inning RBI hit, but he also made an error that allowed the Red Sox’s only base runner to reach first, killing the chance for a perfecto. A plaque celebrating Bob Feller’s three no-hitters at the Bob Feller Museum in Van Meter, Iowa. On July 1, 1951, during the first game of a Sunday doubleheader, Feller threw his last of three Cleveland Indians no-hitters. Facing the Tigers at Cleveland Stadium, Feller no-hit Detroit for a 2-1 win. No-no No. 3 tied Feller with Larry Corcoran and Cy Young for most career no-nos, a record that would be broken by Sandy Koufax (who threw his fourth in 1965) and shattered by Nolan Ryan, who finished his career with seven no-nos. @nonohitters Most famous on July 1 may be one that doesn’t count anymore. Andy Hawkins’ 4-run loss, 1990.